Toledo dentist Jon Frankel is all about letting his patients know about treatment. He goes so far he’ll show you treatment before it begins! Do you want to change the color, shape and proportion of your teeth but can’t imagine how it would look? Have you ever wished you could just glimpse into the future and see the results of teeth whitening or dental veneers? Digital Imaging allows you a peak at the possibilities. Digital photographs of your smile can be altered to your specifications. Changing your smile in minutes! Invisalign braces are a series of clear aligners calibrated to slowly move crooked teeth into a more ideal position. Before beginning the process records including photographs, models of the teeth and x-rays are sent to Invisalign. 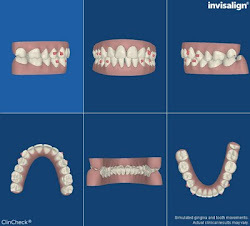 This information is used to create a cartoon animation or Invisalign Clincheck showing the future movement of teeth from start to finish! Changing a smile is life changing and often difficult to imagine. 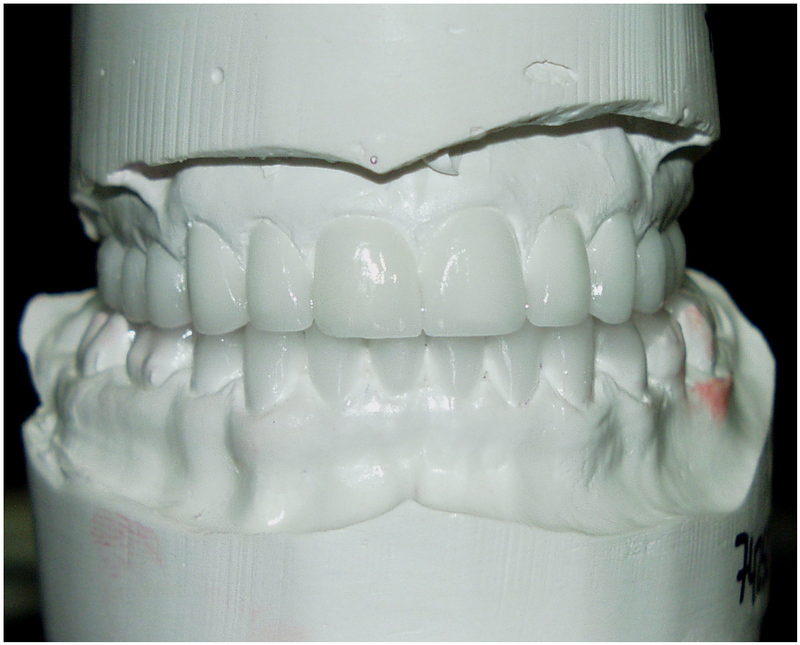 Jon Frankel uses models of your existing teeth to design a beautiful smile in wax. No need to leave your smile to imagination. 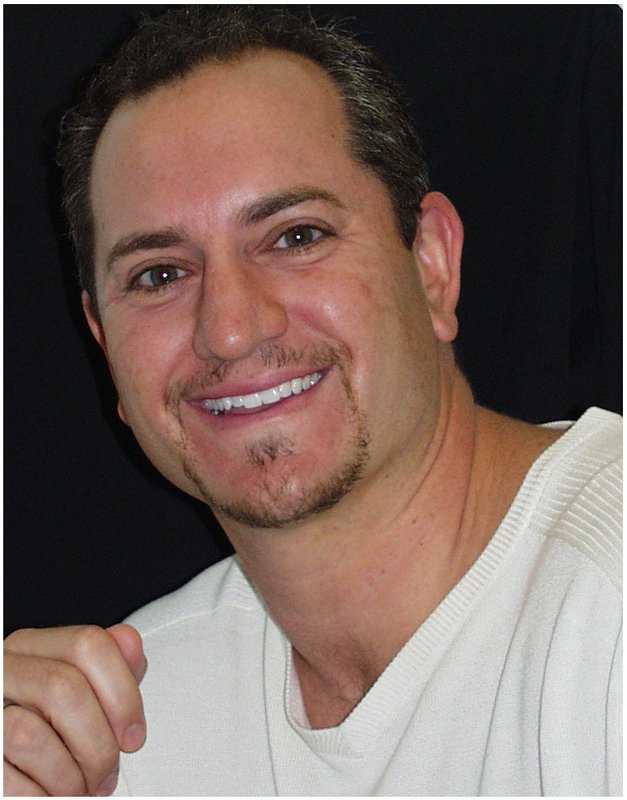 Dr. Frankel let’s you see your new smile before treatment begins with a wax mock-up. Every parent’s challenge is getting children to brush their teeth and brush their teeth properly. Brushing for at least two minutes, minimally twice a day, is recommended but not enough to seal the deal. Toledo dentist, Jon Frankel explains to his parents the shape and form of the teeth can make it difficult especially the back teeth or molars. Deep grooves and crevices on the biting surface of teeth can be virtually impossible to clean. Dental sealants smooth the grooved surface making brushing more effective. After a quick cleaning and preparation a plastic resin in liquid form flows into the irregular surface and hardens leaving a smooth surface. By the way, Dr. Frankel reminds us sealants aren’t just for kids. Adults can benefit from the quick and easy treatment. Mouth guards are not just for football, hockey and boxing anymore. Coaches are demanding mouth guards be worn for volleyball, soccer, baseball, basketball, roller derby, gymnastics, lacrosse, weightlifting and wrestling. They have good reasons. -Tooth loss, tooth and bone (jaw) fracture are common occurrences for athletes not wearing Sports Mouth Guards. -Soft tissue injuries from the teeth often occur when not wearing Guards. -Concussion causing forces may be more evenly dispersed or buffered by Guards. -Studies indicate athletes wearing guards demonstrate enhanced performance.